Tipisa's annual Lodge Leadership Development Program (LLDP) is the premiere training opportunity for Arrowmen within Tipisa Lodge. This event is open to all members, but is particularly designed for Lodge and Chapter leadership. In addition to training, this event provides an opportunity for members to meet Brothers from around the lodge, learn new ideas and best practices, and work together with their chapter to develop their leadership and collaborative skills. 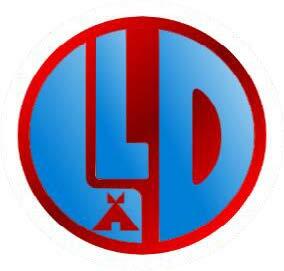 The Tipisa Lodge Annual Banquet will be held directly following the LLDP. Share in the successes of the Lodge as we present awards and celebrate accomplishments of the 2018-2019 program year. The walk-in fee is an additional $5.00, and meals are not guaranteed. Guests and family of members are welcome. The banquet may be attended without dining for no fee. Registration Deadline: Thursday, August 15, 2018 at midnight - Walk-in Registration will be available at the registration desk - LLDP there is no late fee, Banquet there is a $5.00 Late Fee. Banquet - TBD - Includes a catered meal. Guests and Family Members are welcome to attend- just register them as a guest. You are also welcome to attend the banquet without dining without a fee - Walk-in Banquet meals are not guaranteed. Attire: Full Field Uniform and Sash are required for Tipisa Members.